Rustin and his brother, Dudley, couldn’t keep their serious faces for long. All business to start with, those walls dropped quickly to reveal the down-to-earth, started-from-nothing, unpretentious boys they are. It’s practically impossible to break into a farming career without an inheritance, the Lotto or a land claim. So, we end up with those who dream about being farmers, and those who just do it. The Curtis brothers come from the latter camp. They lived on an uncle’s smallholding, which was a mere 7 hectares, while growing up. 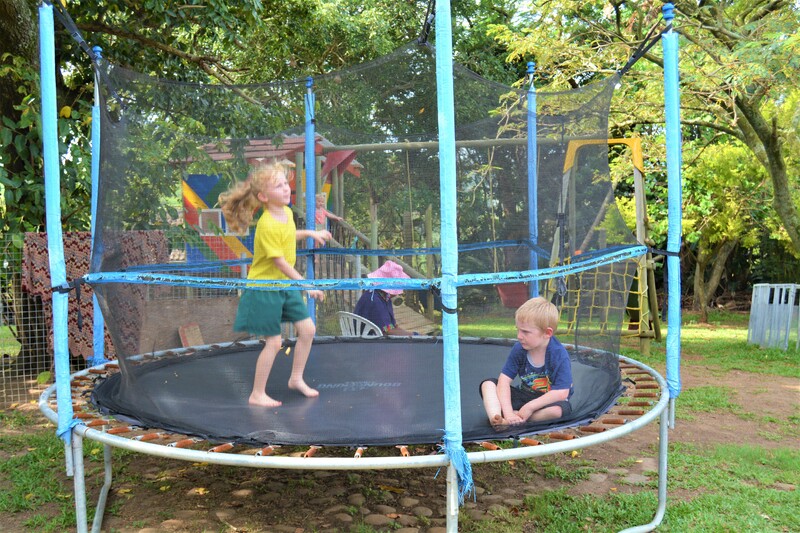 Their intent focus on boyhood farming enterprises left little time for traditional schooling so they opted for the home-school route to get it done quickly. Mrs Curtis left the responsibility squarely on their shoulders – if they failed, it was their choice. As a young teen, Dudley came over to the neighbouring farm to buy a sheep and heard the farm was for sale. He took this news home and the family started figuring out how they could become the new owners. Rustin and Dudley both shake their heads and laugh when they marvel at how their family finally managed to scrape the money together, and buy the farm in 2000, after a year of intense negotiations. 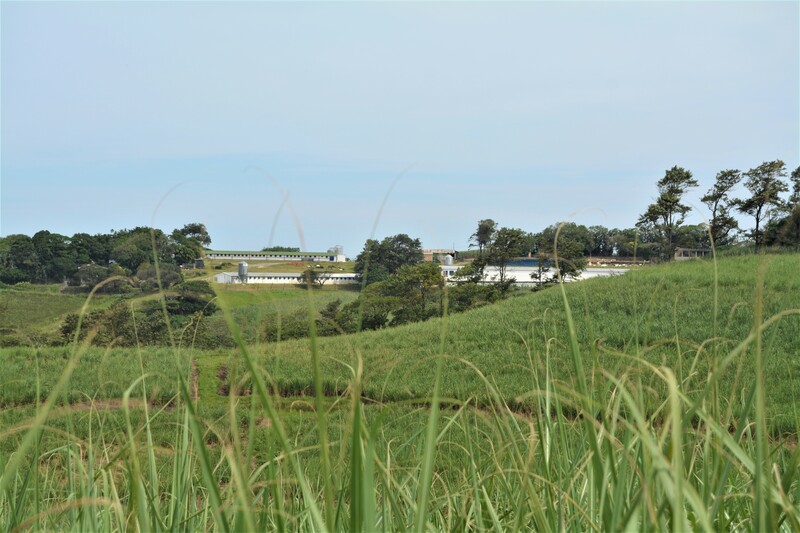 Initially it was a chicken farm, 33 hectares total, with 900 tonnes of cane. The first night they moved in, one of the chicken houses burnt down. It was a nightmare; they barely knew where Shed 7 (the one on fire) was, never mind where the hosepipes were! One year to get there, debt up to their eyeballs and now – a fire! But, in true Curtis style, they rolled through it, and worse since then. This is a true collaboration, with no less than 4 generations living on the property! Rustin and Dudley’s parents occupy the main homestead, with their grandparents in cottages, close by. Rustin, his wife and 3 children, live in a second house near the main homestead. Dudley and his wife, with their two children, live in Seapark. Rustin’s children are lucky to have their grandparents and great grandparents all live on the farm. Both grandfathers are truly retired, but Mr Curtis is on grandfather duty, leaving the Rustin to handle the cane and mac operation while Dudley focuses on the chickens. Mrs Curtis runs all the admin. You’re not alone if you’ve realised that that is a lot of draw on a small farm – and the reason that the Curtis boys work so hard, and so carefully, to grow the operation on which the whole family relies. But, since they’ve come from “nothing”, they’ve learnt to manage with very little. Every year sees a growth in yield and turnover. Income is supplemented by both Rustin and Dudley’s wives who hold down full time jobs in Port Shepstone. 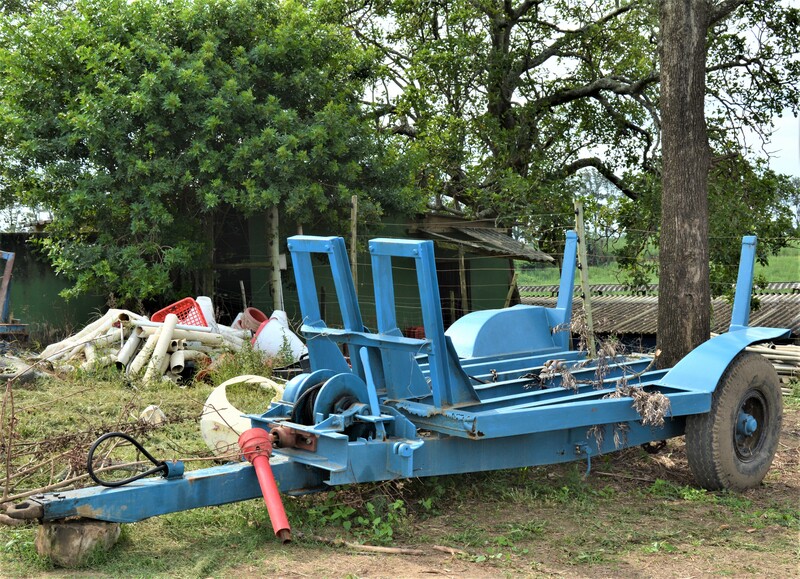 When they arrived, not only were they completely lacking in any cane-farming experience, there was no cane equipment at all, only 2 tractors (a 35X and a 165) which were too small for cane-work. They were fortunate to have support from some experienced neighbours; Chris Nadauld agreed to a 3-year management agreement. After that, Rustin took over. 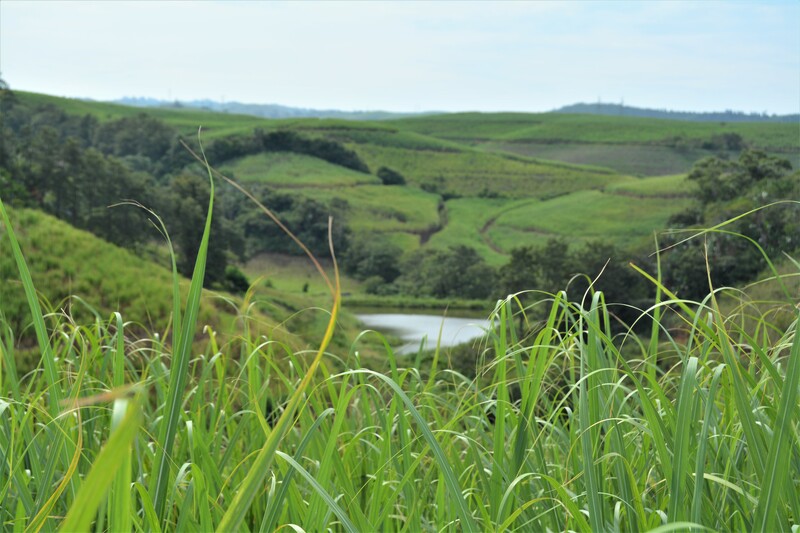 In 2006 they managed to buy a neighbouring 110 hectares, already under cane. Slowly, the production edged up to 1400 tonnes. But how were they doing this without equipment? Initially, they loaned a back-loading trailer from a neighbour and used that for the first season. As their fields are very steep, all loading had to take place in the roads, which meant that all cane had to be carried to the road. Obviously, I had to ask how that affected the cane-cutter’s productivity levels … “Their productivity was the same as it is nowadays,” marvel the boys – it seems that they made them tougher 10 years ago! When Rustin thinks back to that first season of using that borrowed rear-loader, he shakes his head, saying that he would never do that again. The hard, hard work (often still being in the fields at 8 or 9pm) and danger associated with that method of loading as well as the small, 4×2 tractors was something only his early youth and ignorance could have managed. Despite this, they never had a serious accident. Eighteen years on, he feels incredibly “rich” to have all the equipment he does. That original back-loader has been replaced by side loaders, the first of which, Rustin built himself. He asked a neighbour if he could measure up his side loader and just duplicated it, carrying out all the welding himself. It was a sweet moment when, 10 years later, Dudley pointed out to Rustin that one of the trailers they recenty bought was the trailer Rustin measured up to create his first model. I can’t help but appreciate the wealth the boys picked up in those early years – money doesn’t buy struggles and the currency of deep appreciation and experience is struggle. They can now sit back (sometimes) and appreciate how difficult those years were and how far they’ve come. The original back-loading trailer, still on the farm (the winch comes in handy), reminds them of how far they’ve come. The very first side-loading trailer, built entirely by Rustin. After a few years of hard-work but steady progress, they hit a substantial pothole in 2008/9 when a chicken-related contract went sour. This almost sunk them and, once again, the Curtis family had to go deep to find their strength and determination to stay on the farm. They did this!! Now they grow for Riversmead chickens so, next time you’re in the grocery store, grab yourself one of theirs. Just last year, The Curtis’ bought a neighbouring 8.8 hectares. Rustin explains that they are basically surrounded by these small-holdings and growing their operation through these small acquisitions is both time consuming and expensive but, they keep their eyes on building a sustainably sized operation and continue to do whatever that takes. On the chicken side, they grow 100 000 chickens on an 8 week cycle. So far they’ve planted 8 hectares of macs and plan to put in another 5 hectares this year. This means that the Curtis boys are backing three horses – chickens, cane and macs. Three pillars to their empire that we look forward to watching grow strong and prosperous on all three sides. Rustin explains that he always has, and continues to, do the very best he can with the resources that he has. So, as we go through how he farms, in an effort to impart some learning to those reading this article, please remember that what he is doing now is limited by cashflow and resources ie: it may not be what he would choose if circumstances were different. GROWING CYCLE: Rustin currently harvests on a 12 months cycle but is planning to extend this. The decision is motivated largely by the change in weather pattern: the last 5 years have yielded very little rain during Jan, Feb and March – critical growing time when on a 12 month cycle. The rains seem to be more abundant in October and November. But, in order to make cashflow of a farm this size, with the debts they have, work with a longer growing cycle, he needs to plant more. So, that is where his energy is focused for now – on acquiring more land for cane, whether by lease or purchase. RIPENING: Rustin ripens around 35 – 40% of the crop, depending on rainfall. As this year has been a tad dry, he will ripen less. In terms of products and Rustin’s personal experience, Ethapon has not delivered consistent results so he has stopped using it. He has used Fuilade and prefers this product. He tried Moddus but it didn’t yield the results he hoped for. He thinks it’s because he missed the optimal window by harvesting 6 – 8 weeks after application whereas he hears that harvesting 8 – 10 weeks after application is best. He also has concerns about the stunting effect of Moddus on his 12 month old cane – tonnage is already a challenge. HARVESTING: Showing a boldness that stands out from his otherwise cautious nature, Rustin is the only farmer in his area who practices green cane harvesting. He started doing this exclusively about 4 to 5 years ago and won’t look back. He is starting to see the benefits in terms of soil health, crop resilience and resistance. 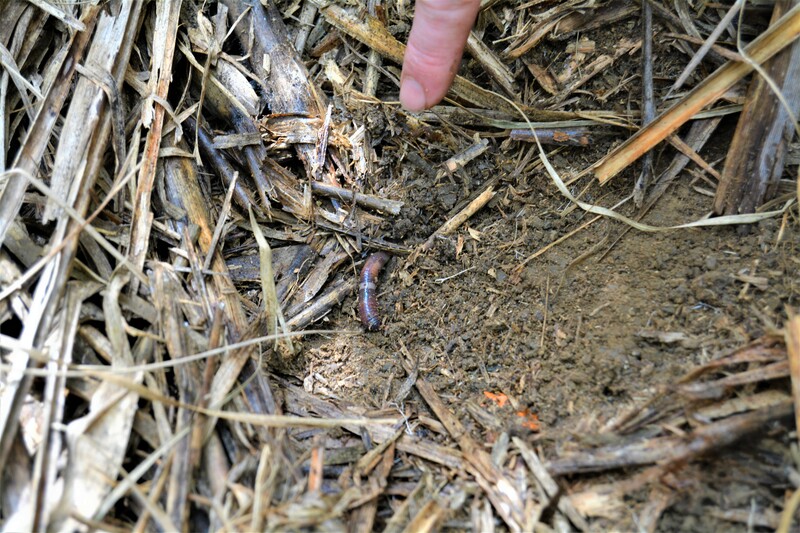 As if on cue, this energetic earthworm validated Rustin’s claims about how trashing improves soil health. It’s not all plain sailing and Rustin still has resistance from the cutters. He now sends a pre-trashing team ahead of them. They use straight knives to cut down all the side leaves. This is an additional labour cost and the workers require constant motivation to do their job properly but Rustin believes that it makes all the difference to his soil and has calculated that he only needs one additional tonne per hectare to cover the labour cost. Encouarging news is that, every year, Rustin’s tonnage improves. He puts a lot of the credit for this growth down to trashing. Currently, the farm is mainly planted to the N41 variety which is a good one for trashing (less hairs) AND it can thrive into a longer growing cycle. There is so much promise on this farm. All the stars are lining up! Tractors and side-loading trailers (using only one cable) take the cut-and-stacked cane to the weighbridge. Yes – Rustin built his own weighbridge too! After weighing, the cane is transferred to the waiting trucks with either Rustin’s double wheeled Bell or the crane. From here, it’s an 8km drive to the Umzimkulu mill. After harvest, a team of ladies manage the trash blanket by spreading it evenly and closing any gaps. They remove grass clumps and clean the edges of the field simultaneously. Rustin remarks how this trash blanket has helped him reduce soil erosion on the farm. REPLANTING: Although Rustin does not plough out a field based on age alone, he does keep records and remains aware of how ‘old’ a field is. When yield dips below 45 t/h and the ratoons are in double digits, it probably needs to be removed. After plough-out, he fallows the field for a year. He doesn’t plant a rotation crop but does supplement it with some chicken litter. This is applied raw and left to break down into the soil. Ploughed out land lying in a fallow state. 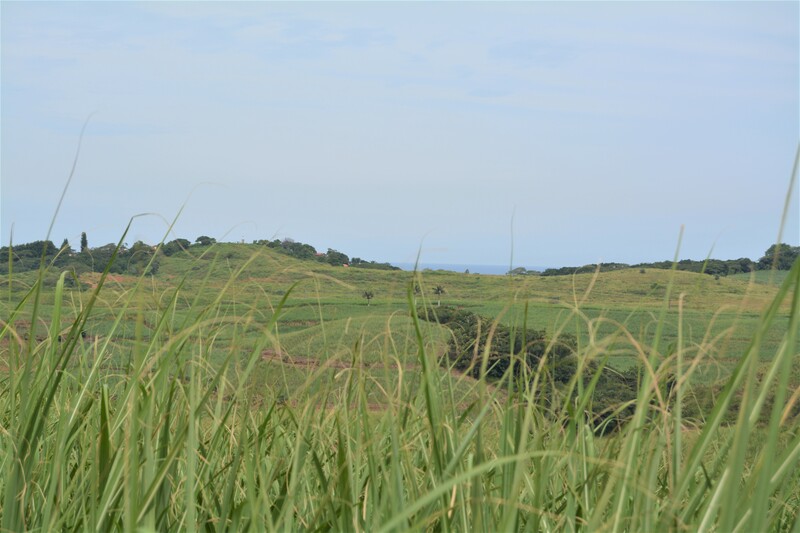 Two years ago, as soon as the budget allowed, Rustin began to add lime to the new fields at a rate of 2 tonnes per hectare – again, this quantity is dictated by financial constraints rather than soil needs. In line with these restraints, Rustin also doesn’t do regular soil tests. The new macs, however, did get their soil tested (favouritism? ) and Rustin was relieved to learn that his acid stats were 0. 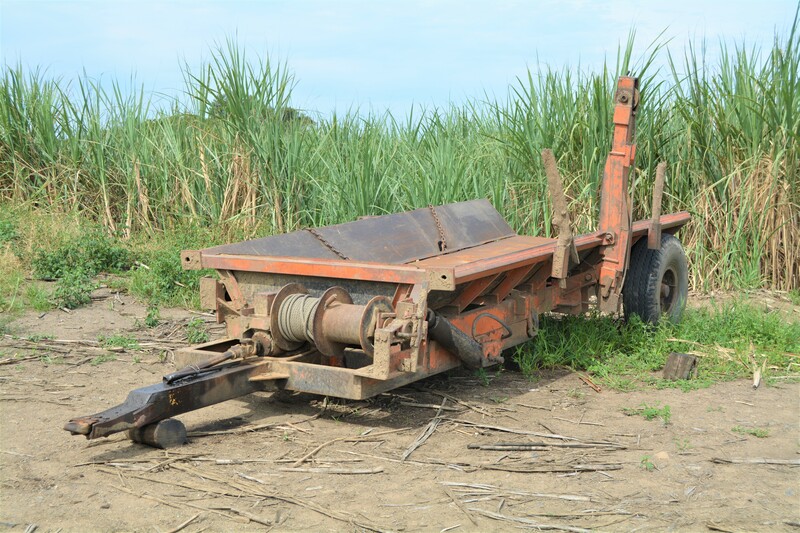 After furrowing, Rustin places 400kgs/hectare of 2:3:4 fertiliser into the furrows, followed by the cane sticks, which are cut into billets in the furrows and closed over. He then top-dresses with an LAN-based 101 fertiliser. 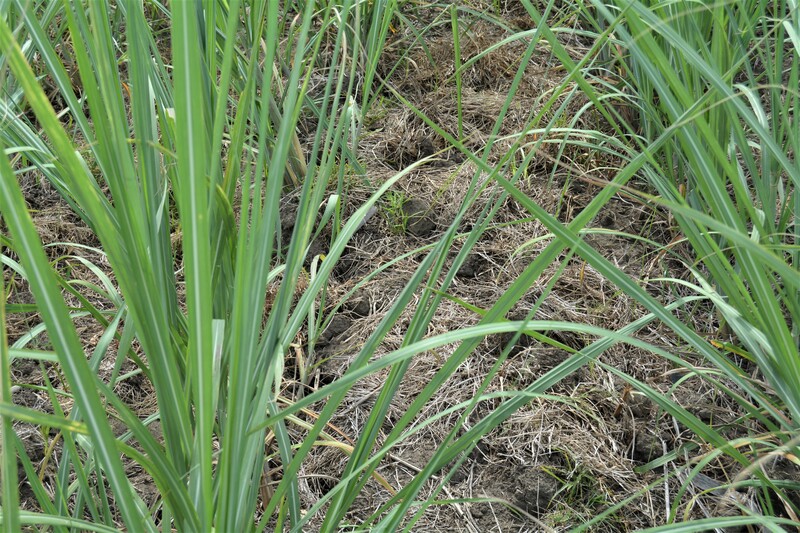 Once the cane has germinated, he sprays with a cocktail of Gramoxone and Diuron at a very low rate and then, three weeks later, with another mix. This time it is Falcon Gold, Gallagher and Rescue. He has spent some time tweaking this formula and is happy with the results. The field is hand-weeded just before canopying and then left for the balance of 12 months. PESTS: Although this farm is practically ON the coast, (see pic above) there is no significant Eldana issue and Rustin has never had to cut a field or spray for the blighter. 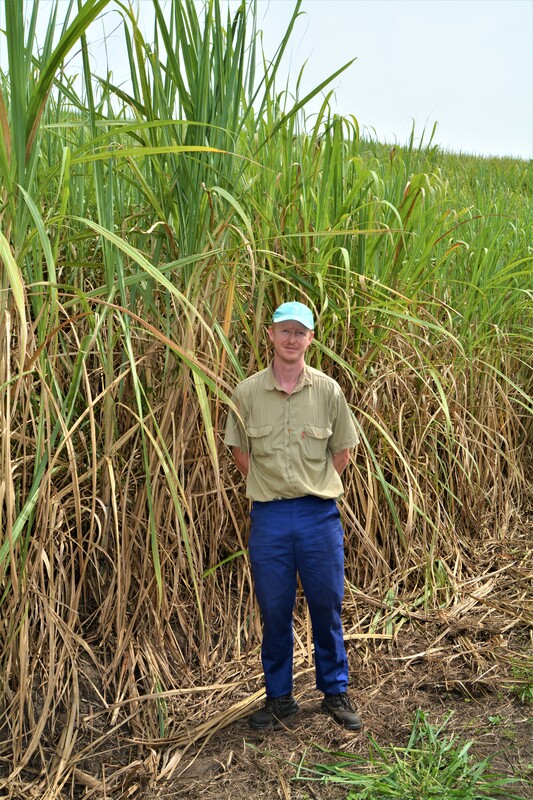 He believes that the healthy soils support cane that is unstressed and therefore repels certain pests naturally. No other significant challenges are found on this farm, in this department. CHICKEN LITTER: Obviously it’s handy to have a regular, on-site supply of chicken litter but Rustin believes the benefits are worth other farmers seeking the black gold from their areas. Here, they stockpile the manure for 6 to 12 months and, when it is nice and black, he bags it and uses it to supplement some of the sandier, poorer soils. This is done two months after applying normal fertiliser. He applies at a rate of about 15 to 20 tonnes per hectare, by hand. Rustin emphasises that it is essential that the litter is left to break down before applying it to the crop. 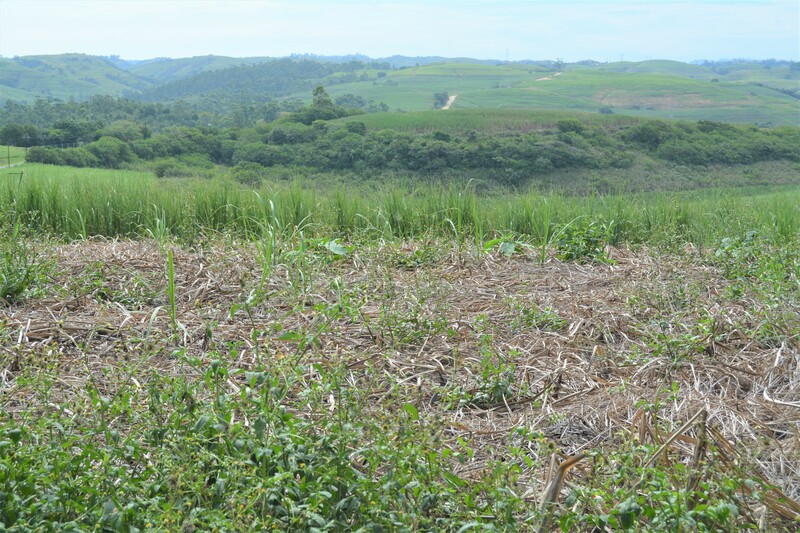 Although neat, fresh litter results in vigorous cane growth, it also attracts Eldana. This is probably as a result of the nitrogen being released by the fresh litter. Another advantage of applying this matured chicken litter is an extended root life – Rustin has learnt that he can extend his ratoons to an average of 12 to 14 cuts if he has applied this organic supplement. LABOUR: As you may have picked up, this operation is fairly labour intensive and they’ve had to find a way to make the management of this resource as simple as possible. Besides one Induna, Rustin manages all the cane staff and has discovered a strategy that works: Clarity & Consistency. At the start of the season, he spends time laying out the “rules of the game” for the next 12 months and then he sticks to that throughout the year. Since he’s started following this policy, it’s worked well, with only one or two small challenges a year – a vast improvement on the mass strikes and general, constant grumbling he endured before. Underlying his policy is a foundation of fairness. All staff are treated very well and the result is a very low staff turn-over. He does pay a pre-negotiated bonus during the harvesting season, which compensates for the extended hours sometimes necessary to achieve the days tasks and everyone is happy with the arrangement. 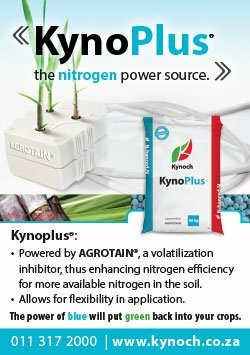 Soil health. He believes that this area cannot be overlooked. 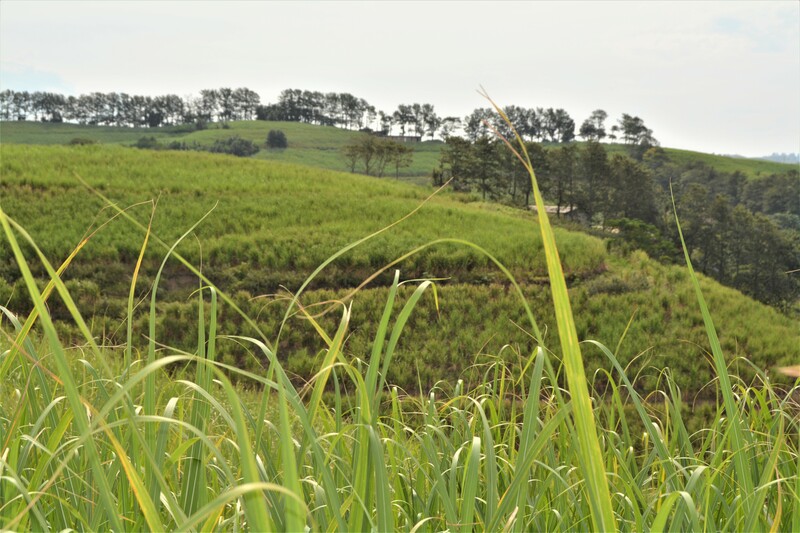 The cane plant draws all its sustenance from here and maintaining a solid, fertile and nutritious environment is vital. He easily admits that the challenges in trashing are real and fierce but the rewards outweigh them. He’s only been doing it exclusively for about 5 years and can already appreciate his returns on sticking to the programme. Take a long-term view of your operation. This ties in well with the previous point in that short-term difficulties may need to be endured in order to reap long-term benfits but it also extends to remaining focused through the financially tough times. Just like our last farmer, Sivion Mbili, Rustin also feels like he has not yet reached a sustainable size and that the journey there is fraught with sacrifices and hardships but, by keeping a focus on the ‘prize’ and remembering that farming is a long-term choice, it makes the details manageable. Again, here comes another link in the chain: while en route to the ‘prize’, realise that you can only do what you can do. Do you very best for the realities of your situation and don’t be intimidated by what others are doing. Persevere; know where it is you want to be and keep working towards it. And here’s a more practical pearl: Stay on top of the weeds! Rustin emphasises how vital timing in this activity is. Refine a programme that works for your situation and stay on track. It’s amazing how much difference being a week late can make. It can throw the whole programme out and send you on to the back foot. Learn to grow. Growth without learning is practically impossible. When the Curtis’ bought this main farm, Berny Sinclair was managing it. He was very rigid about doing things properly and they are very grateful to have had access to his philosophies and wisdom. Even small, seemingly senseless things like Berny encouraging Rustin to walk his farm in the rain has produced valuable knowledge: Rustin could then see exactly where water flow happened and establish the best management practices. Always be open to improvements and apply them whenever possible. Develop skills. Rustin saves himself a fortune by doing all the mechanical and metal work at PCC Farming. He services and manitains the fleet and builds any implements or tools required. He came to fully appreciate the value of his skill when he had to have a new piece of equipment (still in warranty) serviced by the agents. The bill was R8000! The next service fell out of warranty and Rustin got it done for R1500 … say no more. Between Rustin’s mechanical abilities and Dudley’s carpentry skills, the boys have enabled the operation to “skip levels” and get further ahead with less. I hope this encourages any young farmers who are considering upskilling themselves. The Curtis brothers insist that they came from “nothing” but I disagree. Yes, if you are talking about money, land, equipment and all those disposable possessions, then I have to agree. But, if we are talking about common sense, grit, determination, humility and all those great qualities, I think they arrived at the start line loaded. Much more so than many others. I look forward to seeing that reveal itself and thank you both for sharing your journey thus far with SugarBytes.